“If you stay up all night you owe it to yourself to watch sunrise, every time”; A Presentation with Margaret Killjoy about her new book The Barrow Will Send What it May, anarchist subculture, and representation. 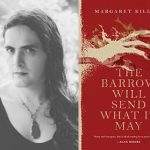 This week we are airing a presentation that Margaret Killjoy gave at Firestorm Books on the release day of her new release The Barrow Will Send What it May. This is the second in her Danielle Cain series which highlights magic, anarchism, queerness, punk squatter subculture and a bunch more. The presentation consisted of a brief intro, a reading, and to end up a q&a session. As a warning to listeners, the reading describes the events of a car crash. This occurs between 11 and 12 minutes after the presentation starts, it is not graphic but if you aren’t in a good spot to hear that please feel free to turn the volume down. Also, we have transcribed and re-recorded the questions in the final section, not because anything said was sketchy, but just to not air people’s voices that may not have wanted to be broadcast. To hear an interview that we did with her on the release of the first novella in this series alongside other interviews with her, check out our website. This episode is scored with Nomadic War Machine’s new release, which is Margaret’s solo music project, called The Fields Lay Fallow off of her new album Always//Forever. To round out the hour, we are presenting a much abridged version of the most recent Error 451, our sometimes weekly tech podcast that tackles tech as it pertains to anarchism, anarchists, and more generally, how to understand this strange, often terrible and sometimes alright world of tech! Any aspiring techsters can find the full version of this podcast here, and if you wish you can keep up to date on these releases by either subscribing to our podcast feed by using “The Final Straw Radio” as your search or by keeping an eye on our website. This year incarcerated human rights activist Comrade Malik Washington put out the call for an international day of actions in solidarity with the movement to #EndPrisonSlavery on Juneteenth. Juneteenth is a holiday celebrated on the 19th of June to commemorate and celebrate the end of legalized slavery in the United States. However, as prison rebels from Alabama to Texas to Florida and beyond have pointed out, the 13th amendment to the Constitution, which supposedly ended slavery, actually carves out an exception for people who have been convicted of a crime, meaning slavery was never fully abolished for incarcerated folks–a condition of exploitation and dehumanization clearly visible within the brutality of every aspect of the US prison system, and in the fact that incarcerated workers receive no meaningful compensation for their labor while in prison. In response to this call for events, Blue Ridge Anarchist Black Cross will host a Juneteenth event at 5:30pm on June 19, at Firestorm Books. We will screen Ava Duvernays award-winning documentary “13th,” discuss how people can get involved in the movement to #EndPrisonSlavery, and send some cards to prison rebels who need a little love and light right now! Hope to see you there! Revolutionary Greetings, comrades! It’s me, Comrade Malik in Texas. This June 11th I’d like to ask all of y’all to send some Love, Light, and Commissary CA$H to my brother in struggle Sean Swain in Ohio. Sean has dedicated a lot of time and effort to supporting and sustaining the work done by the Incarcerated Workers Organizing Committee. Sean has edited our publications and provided much needed direction for our Abolition movement. Sean continues to make personal sacrifices for the good of all, and he never ceases to speak Truth to Power. In the following months I hope to work directly with Sean so we can tear this entire thing down! Hopefully I will become an honorary 13th Monkey!!? We talk about different approaches to politics and direct action, as well as her new book Paradigm Lost; Radical Verse and Visuals for the Shift, which is a collection of her original spoken word poetry accompanied by mixed media artwork from around a dozen artists. We also talk about the book and her upcoming performance date in Asheville on December 9th at Firestorm Books and Coffee! 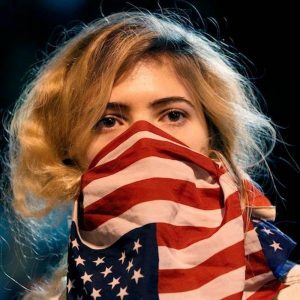 To see more of Eleanor Goldfield’s work, including links to the musical project Rooftop Revolutionaries, information about the media project Act Out! (available on occupy.com and Free Speech TV) and many more writings, you can visit artkillingapathy.com. The radio version has some material cut due to length, though the podcast version has all those pieces included back in. To see that version, plus archives of this show, you can visit thefinalstrawradio.noblogs.org. Next Sunday, December 3rd, Blue Ridge ABC does it’s monthly letter writing night at Firestorm Books & Coffee from 5:30 til 7:30pm. 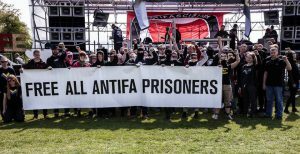 Paper, pens, stamps, envelopes and the addresses and info on political prisoners in the U.S., particularly those having upcoming birthdays, are all available for free! Come on by and send someone behind bars some kind words. After that at 8pm you can join folks across town for a game of Radical Trivia. This event is 21 and up, happening at the Lazy Diamond bar at 98-A N. Lexington Ave, there’ll be some potluck food for sharing and a cash prize for the winning team or person. To form a team and get on the roster, you can drop an email to jtheophilos@gmail or sign up at the night of. 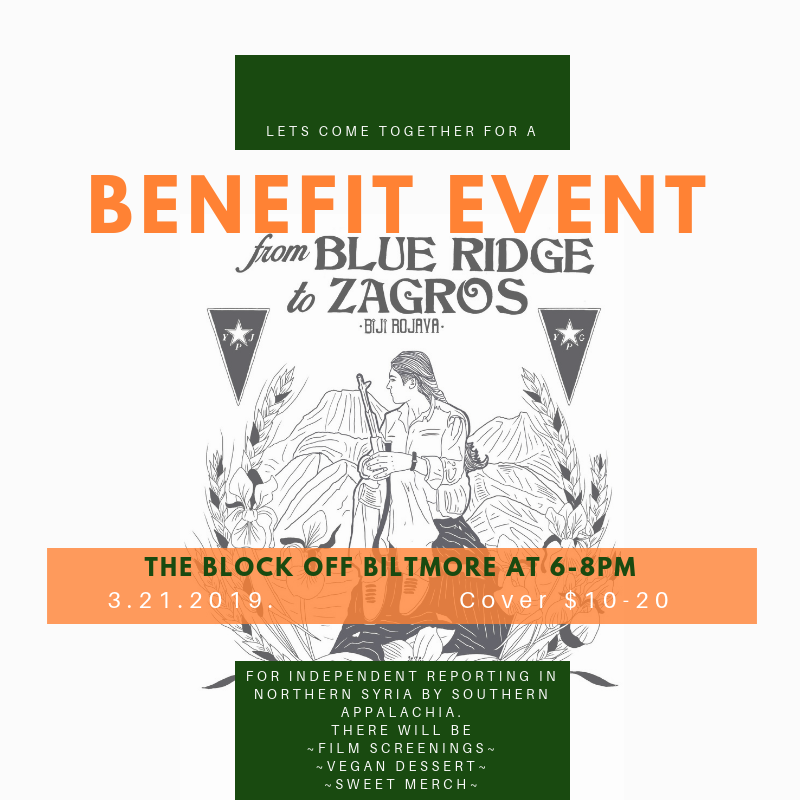 This event will benefit the 2018 Asheville Anarchist Bookfair happing in the summer. Various levels of knowledge are welcome and topics will span a few categories. For a 59 minute long, radio clean version for syndication purposes, please visit the archive.org collection. For a full version, click the link under the picture on the left. 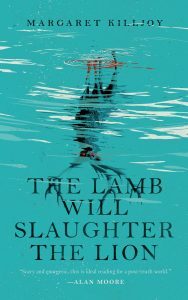 This week I had the opportunity to speak with Margaret Killjoy about her new novella The Lamb Will Slaughter the Lion, which is coming out on August 15th from Tor.com. In this interview we will talk about how she got into writing genre fiction, how writing has shaped her politics, about the book itself, and about fighting a battle on a cultural front, among many other things. 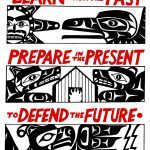 If you are interested, you can come to a book release event that Killjoy will be doing at Firestorm Books and Coffee on August 15th at 7pm! 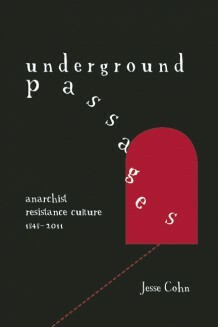 You can pre-order a copy of this book from your local bookstore or from Red Emmas, an online anarchist source. You can find more of her writings at her website, Birds Before The Storm, alongside some of music and artwork! NC Resists a Grand Jury, Solidarity with Katie Yow! On Monday, July 31st, people will gather in Greensboro at 9am at the Federal Courthouse, 324 W. Market St in order to support Katie Yow, who is refusing to comply with a Federal Grand Jury convening there to which she’s been subpoena’d. “We have now learned more from the Assistant US Attorney about the subject of the federal grand jury to which I have been subpoenaed. This grand jury is looking into what the government has described as a bombing at the GOP headquarters in Hillsborough, NC this past fall. The AUSA has also indicated that they are interested in “other people” and “other events.” I don’t know anything relevant to a criminal investigation of the alleged incident at the GOP headquarters. The broad nature of the government’s interest in other information makes clear the way that this and other grand juries are used as fishing expeditions to attempt to coerce testimony on 1st amendment protected information. This is one of the many ways grand juries are used to repress social movements, and one of many reasons why we resist them. If yr feeling it, show up in Greensboro on Monday to show support! Did you say “Grand Jury”? What the heck is that?? If you are in Asheville on Wednesday, you are invited to attend a workshop at Firestorm Books and Coffee (610 Haywood Rd) at 7pm entitled “What Is A Grand Jury?” The discussion will be presented by the Scuffletown Anti Repression Committee. Jesse also puts out an invitation to listeners to share their stories of growing up in an anarchist household (what some might term “Black Diaper Babies”) or as the child of anarchists. The hope is to create a work that’d speak about what multi-generationality looks like or could look like. You can reach him at jcohn(aaat)pnc(d0t)edu with questions or stories. As a quick update to last week’s episode about the hunger strike at OSP Youngstown by 6 prisoners: Hasan announced on April 15th, 2015 that he and 4 other prisoners stopped their hunger strike. Sedrick Tucker was continuing his hunger strike as of Friday, April 17th, 2015 due to private medical malpractice issues which he did not feel were being addressed by the demands that were met by the prison administrators. The support website, lucasvilleamnesty.org, stated in a recent post that the strike was a mixed victory, with some demands won and others not with the Warden conceding as little as possible. Hasan suggests that concerned people should contact that Ohio Medical Board and ask them to look into Sedrick Tucker’s treatment at the hands of Dr. James Kline. Hasan also suggests contacting ODRC Medical Service Administrator and ask to send another doctor to review Mr Tucker’s situation. It should be noted that Sean Swain also had issues with Dr. Kline during his last hunger strike. Have a pencil read to write this down if you want to contact ODRC’s Medical Admin. Writing to Sedrick or in concern for him has real effects in how the guards and doctors will treat him. This week, we spoke with Artnoose. 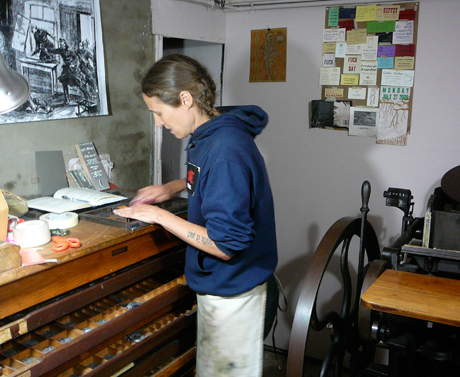 Artnoose is a zinester, author, printer, parent, anarchist and more. She gives a brief history of her relationship with art, her long-running personal letter-pressed zine entitled Kerbloom!, how she became an anarchist, the Berkeley Anarchist Study Group, the Cyber Punk Apocalypse fiction-writing house in Pittsburgh, erotica and more! Later in the conversation we discuss Letters of Insurgents, an epistolary novel written by Fredy Perlman. The book is a series of letters between two characters separated by two decades and a continent and discusses politics, intentions, memory, age, communication, deception and more. 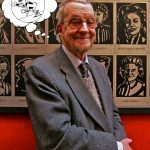 There is a free audio version of the book that Artnoose helped to narrate, it’s available in pdf form for free on theanarchistlibrary.org and was just recently reprinted and made available for sale via Left Bank Books. This episode also features a recording of Aragorn!‘s introduction to the new edition of the book. Artnoose and Aragorn! both participated in the 2010 internet-based reading group of Letters of Insurgents known as Insurgent Summer. This week is a rebroadcast of William Goodenuff’s interview of last year with Paul. 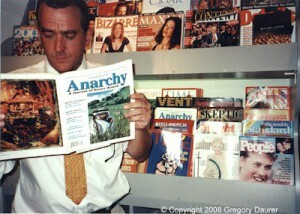 Z. Simons of Modern Slavery Magazine. The description will be found below. This week, Sean talks about Keith “Bomani Shakur” Lamar’s ongoing court appeal for his life. More updates on Lamar’s case can be found at http://www.lucasvilleamnesty.org , including audio from some of the court proceedings. “This week William talks with Paul Z. Simons, a contributor to and editor of the journal Modern Slavery; A Libertarian Critique of Civilization available at http://modernslavery.calpress.org. Mr. Simons is also an essayist and former contributor/editor of Anarchy: A Journal of Desire Armed and Out of Anarchy among other projects. 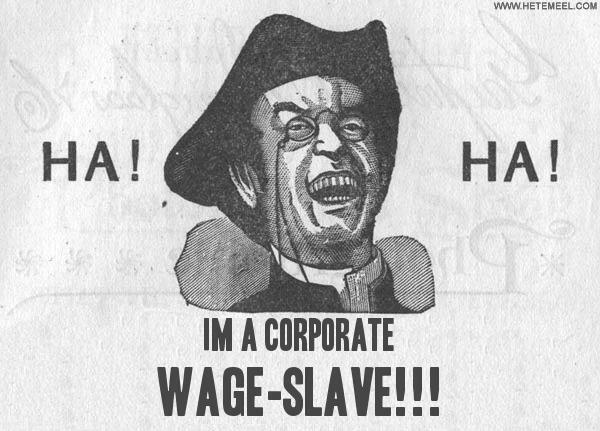 Modern Slavery delves into the conception of a modern slavery through an explicitly radical discussion of the history and present condition of wage economies and wage slavery. In addition, the journal showcases poetry, short stories, book reviews, and art. If you wish to become a contributor, you can do so through the journals website.